Are bottled water containers scattered everywhere in your home or office? If you’re one of the millions of people around the world who receive bottled water delivery service to your home or office, you might be dealing with this problem. 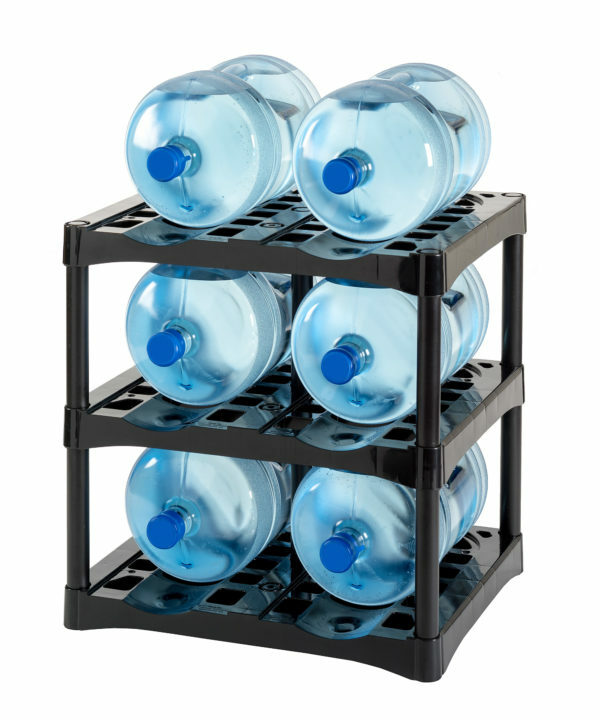 Look no further because PSI has your home/office bottled water storage solution. The Bottle-Up is the perfect storage solution to take back the space in your home or office. 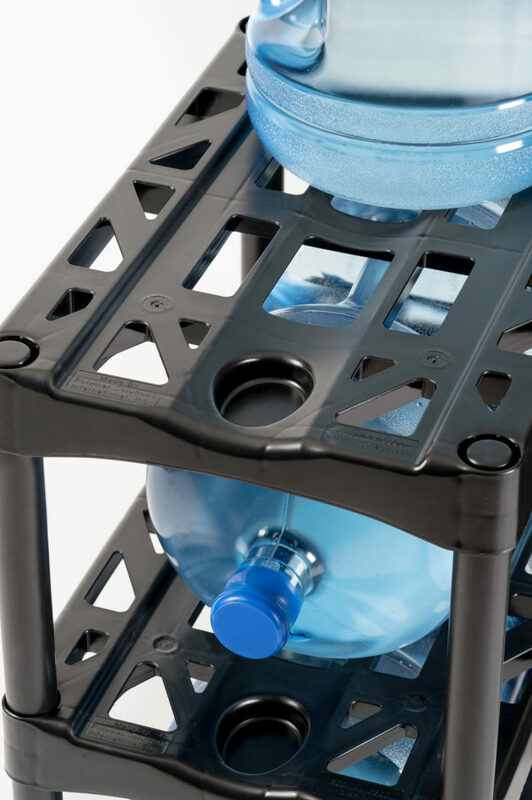 The 3 layer 03-SH water rack can store six, 5-gallon water bottles and has a built-in drip tray. The 03-SH Bottle-Up is highly stable with a durable design that is built to last. Bottled water is a necessity of office life. No matter what the industry, you need a water cooler where people can gather for refreshment and maybe to shoot the breeze for a few minutes before heading back to work. Understandably, many office go through a lot of bottled water. They need a way to easily store the water so it’s convenient to the cooler, but doesn’t provide an eyesore in the office. 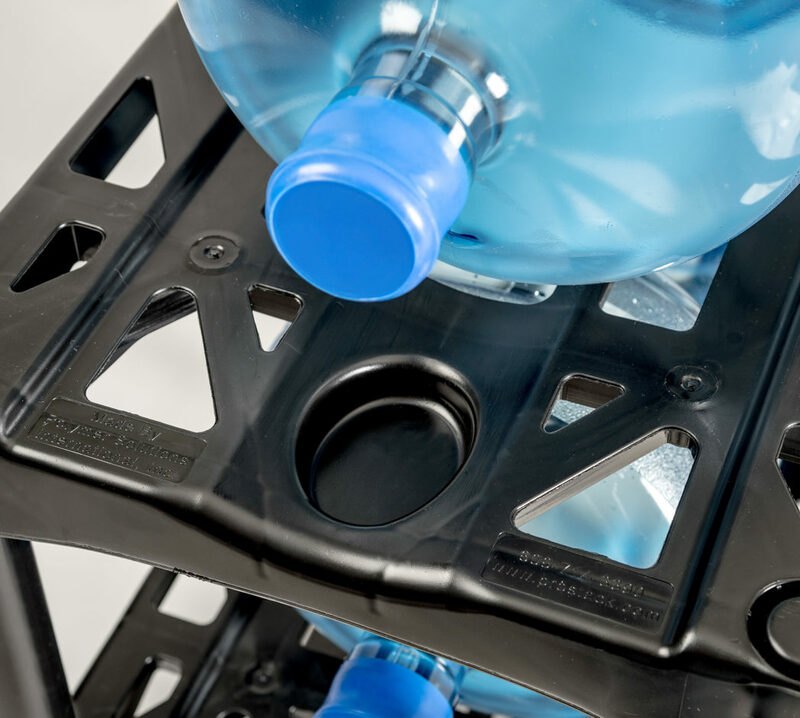 That’s where Bottle-Up our bottled water display rack can help.